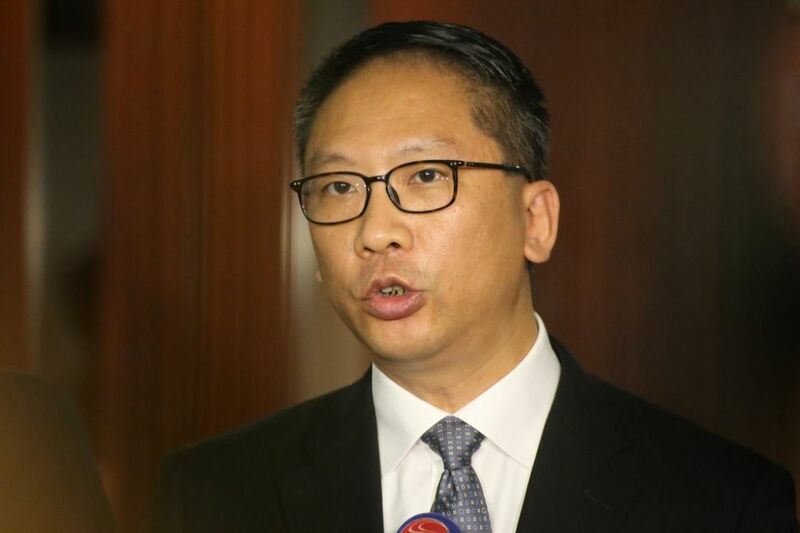 Hong Kong’s justice secretary has defending the jailing of three democracy activists, slamming claims that it amounted to political persecution. Joshua Wong, Nathan Law and Alex Chow were sentenced to six to eight months last Thursday over their involvement in a clash which sparked the 2014 pro-democracy Occupy protests. The Department of Justice appealed for harsher sentences, arguing that the community service orders they received did not serve as a deterrent to activists disrupting public order. 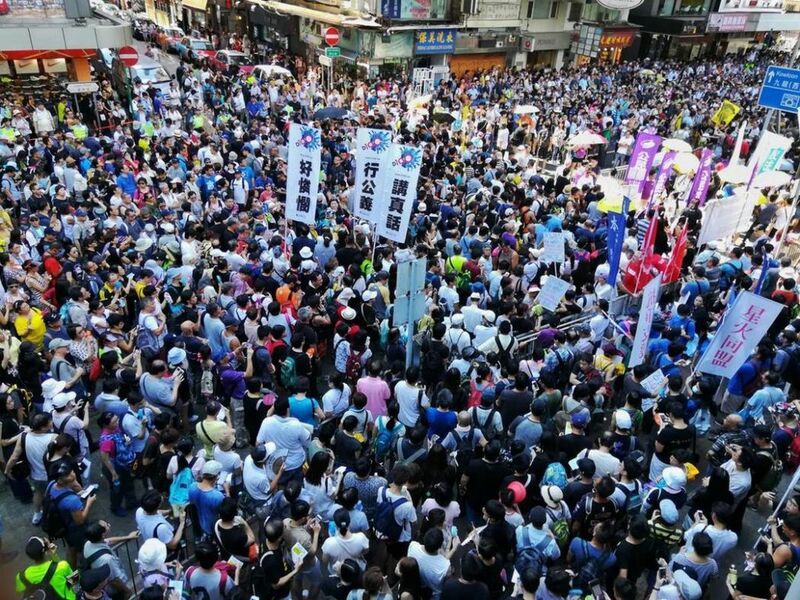 The successful review of their sentences – along with the jailing of 13 land activists in a similar case – prompted thousands of Hongkongers to protest in on Sunday. Hongkongers protest the jailing of activists. Photo: PH Yang. Justice secretary Rimsky Yuen defended the department’s decision to appeal the activists’ sentences in an essay published in several newspapers on Thursday. He argued that the three activists were jailed owing to their unlawful actions, and not because of their political beliefs. He said that both applications to review the case were submitted according to relevant regulations, and that the reasons given in the applications were legal, not political. The jailing of the protesters has prompted criticism from international rights groups and politicians, with some calling them political prisoners. It also sparked concern that the independence of Hong Kong’s courts had been compromised under pressure from Beijing. 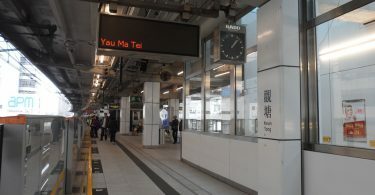 Rimsky Yuen. File photo: In-Media. 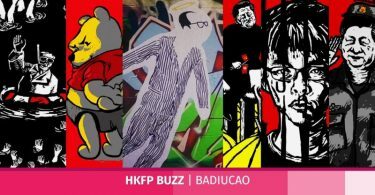 “I hope the public and the international community will continue to respect our independent judiciary and refrain from making baseless attacks,” Yuen wrote. He also denied accusations there were ulterior motives behind the the department’s timing of the application. He said that the sentence review could not be processed before the appeals against the activists’ convictions were dealt with. 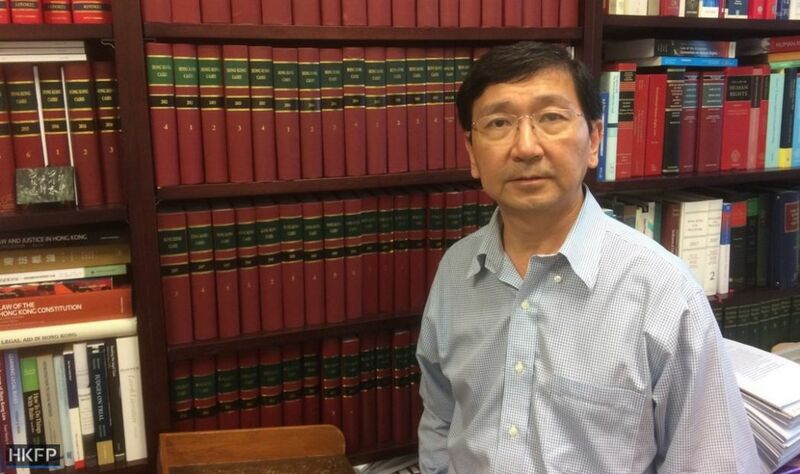 Law professor Johannes Chan said during a Commercial Radio programme in response to Yuen’s comments that he accepted his explanation for the timing of the review, but Yuen should explain in detail whether the DOJ’s decision to review the sentences were mixed with considerations outside of legal ones – in order to dispel citizen’s concerns. Johannes Chan. File photo: Elson Tong/HKFP. In a column on Wednesday, Chan said that the first magistrate’s decision to hand down a lenient sentence, as well as the Court of Appeal’s decision to give a deterrent sentence, were both within the judiciary’s scope of discretion. “Even if we don’t agree with the Court of Appeal’s final judgement, it should not influence our belief in the judiciary’s independence,” he wrote. He said Yuen could have instructed the department not to apply for the sentence review, but instead sought to lay the blame on the courts.